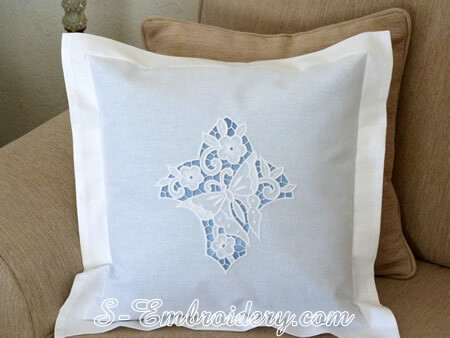 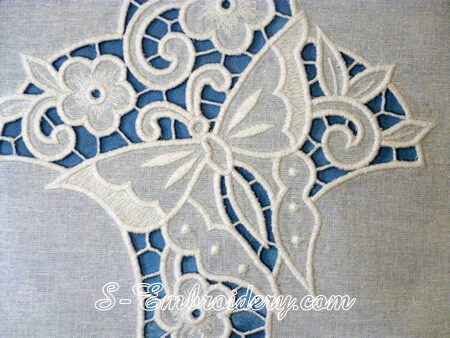 A nice butterfly machine embroidery design in cutwork lace technique. 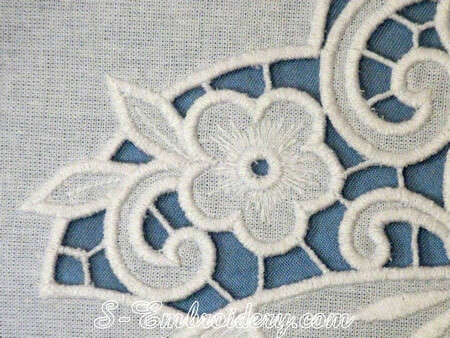 This cutwork lace embroidery is done "in the hoop". 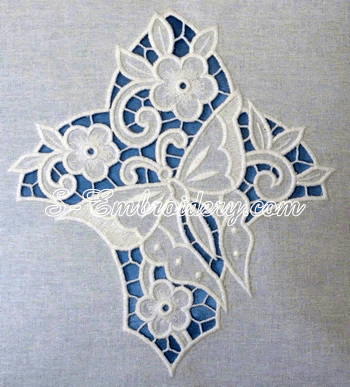 The design is split in 2 parts. 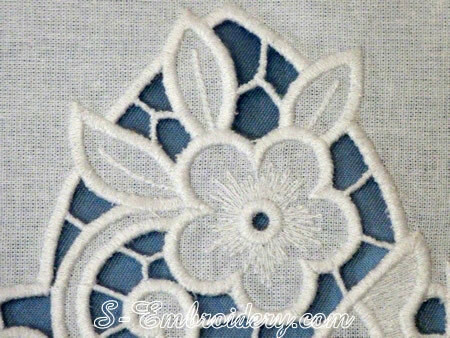 You receive 2 machine embroidery files in one of the supported formats, plus 3 PDF files with design information, instructions for creating the cutwork lace embroidery and a printable template to make placement og the lace easier.